This past season I decided to investigate the various brands of tippet out there to see what I liked and if there was any noticeable difference. This was by no means a quantitative scientific inquiry, it was much more of a qualitative inquiry based on how, where, and what I fish for. It’s also influenced by the knots I use as well. This year I will likely continue doing this as I have not come to any concrete conclusions as of yet. I tried the following in 5x, 6x, and a couple in 7x sizes and in no specific order. Of those, I can always buy the Umpqua at my local outdoor shop, about a 10 minute walk from my house. They will on rare occasion carry the Rio Powerflex. Unfortunately, their fly fishing section is very limited. The Rio Fluoroflex I bought at a fly shop on my way to a special spot on opening weekend last year when I realized I had forgotten all of my line and flies at home (fortunately I had a level line and a single fly on my rod already)! I also knew I was nearly out of tippet anyhow. 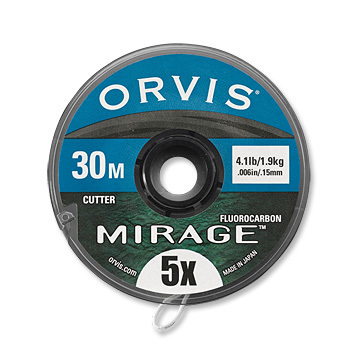 I also stopped at the Orvis flagship store a couple of times when fishing near there and was convinced by the guy behind the counter to get one spool of the Mirage. It was new last year and supposedly had/has the best knot holding capabilities of any tippet on the market. At least that’s what Orvis claims. It is by far the most expensive of all of these. 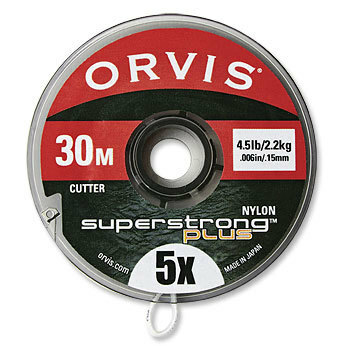 Last but not least, is the Orvis Superstrong Plus. It’s easily found at most fly shops and online. These are only my personal and non-scientific observations for my own purposes. I did not seem to notice any real difference between the various fluorocarbon tippets regarding visibility to fish. What do you use and/or like? I really don’t have a brand preference, but do have a spool of Mono & Fluoro each. 9/10 times I’ll fish the mono in 5x. But do have 7x I’ll break out on occasion. I think I’m working from a “guide spool” of the Rio Powerflex right now. To your point, it’s easy to find and relatively inexpensive. Not broke, so I don’t really look to fix it. Was a lot of “noise” about the Trouthunter tippet a few years back. It’s older but that tippet shootout is a good read. I’ve used both the Seaguar and Trouthunter (the top picks for fluorocarbon) and both are awesome. I use trouthunter now because it’s easier to find and I like the spool better. The seaguar Japanese brand Kureha comes in weird shaped spools. One thing that’s good about trouthunter is the half sizes so you can get 6.5x for certain seiryu rods with odd tippet ratings. Thanks for the informative test and write up. I’ve used many kinds of tippet over the years. 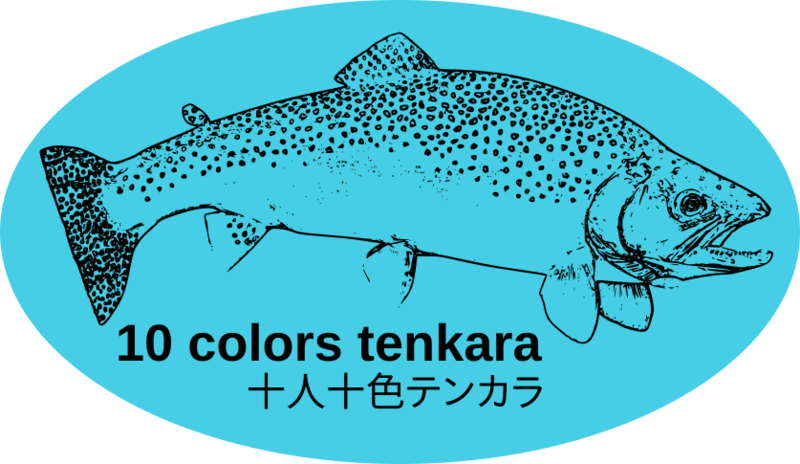 But, since I started fly fishing Tenkara style (~3 years) I’ve used nothing but Rio Fluroflex Plus in 5X and 7X. I’ve had no problems with it (other than the high cost) and don’t plan to switch anytime soon. Seems like pretty good stuff that works in all temperatures and fishing conditions. Phenomenal article Jay. Thanks for sharing that. That’s exactly the type of thing I was interested in seeing. I would have loved to do testing like that, but have no reason to justify all of that equipment. I’m glad somebody did it. Looks like I’ll be trying some new tippet. I used to use Rio products; they are still good. 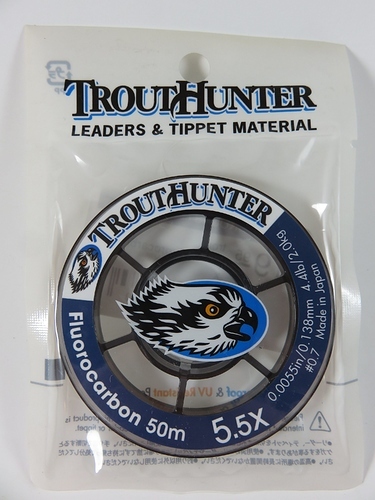 But for the past few years I have used exclusively TroutHunter 5.5X fluorocarbon tippet. Any stream, any rod, any fish. I only carry one spool with me and its 5.5X. That was going to be the first one I got. I usually only carry one spool of tippet as well. However, once last season my fly got caught in a tree and the tippet broke at my tippet ring. Reached for my tippet spool and had about 6" left. I started carrying two after that. I’m fairly minimal in what I carry, but I’m not a gram-counter. Don’t you just hate that when that happens?! I still only carry one spool on me, but I confess, I keep a spare spool in the car, just for that scenario! Most of my stuff is SA Mono with the built-in cutter. I started off with some 4/5/6 of that, and have tried to just keep restocking with the same brand because I like uniformity. I have also tried some Cabelas brand because it was on sale for $0.88/spool a while back, and it’s allegedly made for them by SA. The spools and line itself look identical. Seems to perform the same. Whenever I see guide spools (100m) on sale, which isn’t often, I try to pick up a 5X or 6X, as those are my most common sizes. Now that I’ve completely abandoned western FF, I can stop thinking about sizes bigger than 4X, and even then I don’t see myself fishing 4X very often at all with what I have. Seaguar GrandMax FX is the best fluorocarbon tippet I’ve found after a solid 20 years of searching. It is the best handling, knot strength, clear and most expensive (no like) tippet. I’m still searching but I’m not finding. 7x in GrandMax FX is what I use %50 of the time, 6 and 5x the rest. I can’t say enough nice things about it except I don’t like the price. Thanks for the info Adam. That was one of the others I was going to try out. While I don’t like paying too much just like the next person, I am certainly willing to pay for it if it proves to be a quality product. Has anyone tried Arc Fluoro, Arc Camo, or Arc Fluoro NXT tippet? Also how about Frog Hair tippet? They are available at Feather-Craft.com. This past year, I continued trying out different tippets and ended up settling on, preferring, and using TroutHunter 5.5x. 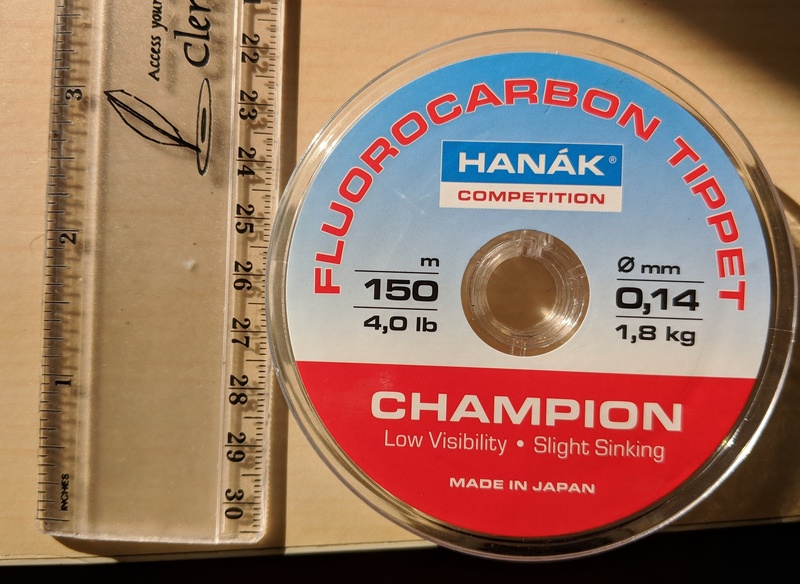 This winter I’ve been doing a little more reading and learned about Hanak tippet (and other fly fishing products) from the Czeck Republic. This arrived in the mail this morning. I’m very interested to give it a try this season and hope that it’s worth the hype that I’ve read about. As you can see, it’s a fairly large spool compared to others. Edit: This is 150m and the equivalent of 5.5x. 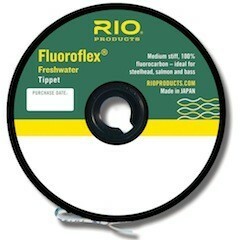 Trouthunter 5.5X fluorocarbon is my preferred tippet as well. Depending on how this stuff works, I’m likely to stay with the TroutHunter. It’s just very consistent and holds knots very well. This is going to be the last brand that I try. A lot of competition fly fishermen in Europe swear by this stuff; we shall see. I have been using it for about a season and really like the stuff. Trout Hunter 5.5 in both nylon and fluorocarbon. I bought both but use the nylon the most…in general for its cost and just tend to gravitate to the attributes of nylon. 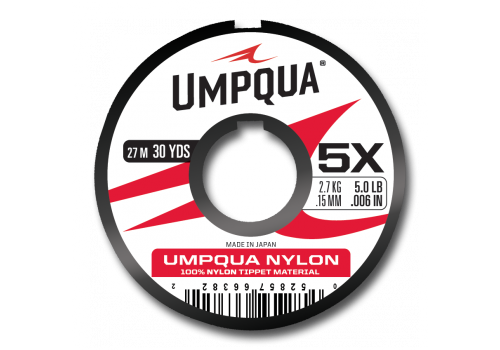 Prior to the troutHunter I was using Umpqua nylon and fluorocarbon. It is fine but the trouthunter seems to be a better product and i find that it deforms less when tightening down knots…making a nicer knot. Trout hunter may also have less memory…which is good in my eyes. I completely agree. The fact that it didn’t make those curls when you tighten knots is certainly a big thing that I like. Like you, I’ve also purchased both the nylon and fluorocarbon, but am just the opposite. The fluorocarbon has my vote. Plain old Rio Powerflex for me. Never felt the need to try anything different.